Space Micro celebrates its 13-year anniversary in 2015 and continues to support the Space Industry with innovative, affordable and high performance Digital/Image Processing, RF Communication and Attitude Determination Sensor Products. 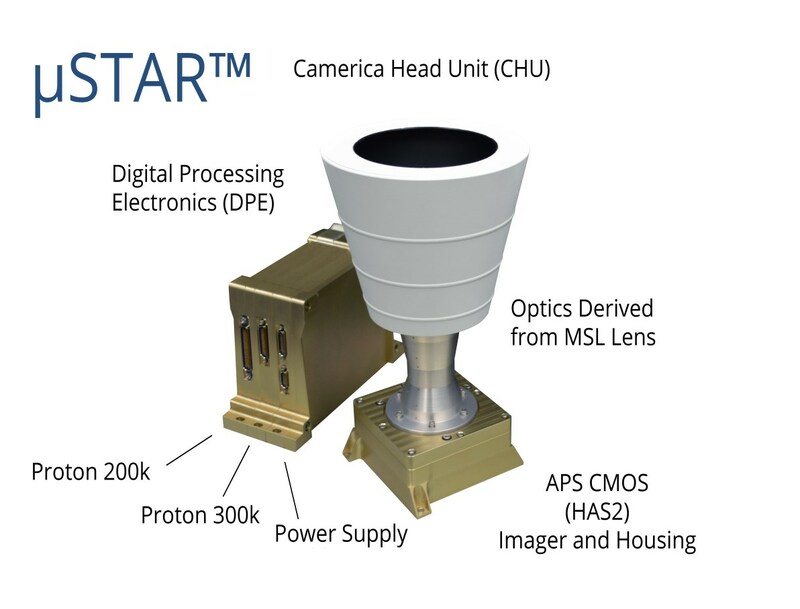 Space Micro’s µSTAR™ product line of space radiation hardened stellar attitude determination systems offers solutions from medium to high accuracy and from 1 up to 100 Hz update rates. The µSTAR™ products include flight demonstrated software that provides robustness to false stars and accounts for imaging degradation over the unit lifetime. The µSTAR™ features a modular architecture allowing for various Camera Head Unit (CHU) configurations with optics derived from lens assemblies flown in extreme space environments. The Digital Processing Electronics (DPE) have flight heritage and apply Space Micro’s state-of-the-art radiation hardening techniques for SEFI and SEU. These features make the µSTAR™ the most advanced star tracker on the market.